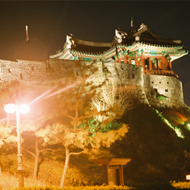 The Feelux Lighting Museum has partnered with t he Seoul Metropolitan Government to host the 15th anniversary of the Light Pollution Photography and Videography Contest 2019. The purpose of the contest, held annually since 2005, is to increase the awareness of light pollution and pursue a healthier and more environmentally harmonious light. The themes for this year's contest should feature either light pollution or natural lights sources that promote coexistence between nature and people in healthier lifestyles. Misguided lighting environment and unwanted light can bring serious damage to humans and ecosystem. 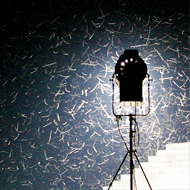 There are many examples of light pollution: wakeful night due to light of the next door, poor harvest caused by streetlights, vertigo or dizziness from the bright light of signboards in cities, night sky without stars by the urban artificial lighting pollution, missing migratory birds cannot find moonlight and starlight, sleepless singing cicadas during the bright summer nights with the lighting. In other words, unnecessary and unwanted lights, and all harmful situations to people and nature due to more lights than needed can be the light pollution. 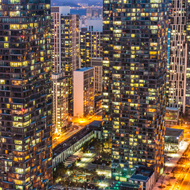 Light pollution is a new type of environmental pollution caused by humans. The light pollution does not appear from a defect of right, but from an incorrect use by men. Therefore, it can be improved by our efforts to understand and reduce the light pollution in our lives and industrial sites. We look forward to sharing more of the concept of the light pollution and opportunities to make it better by people of all ages, sexes and nationalities in this contest. We also hope that many participants develop the light of tomorrow for healthier planet and more beautiful lifestyle with the Light Pollution Photography and Videography Contest 2017. Copyright © 2014 FEELUX all rights reserved.